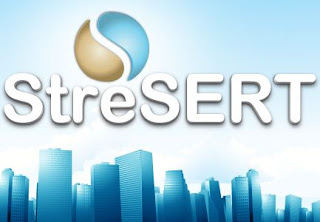 Stresert Services Limited Recruitment for Sales Canvassers. Stresert Services Limited Job Vacancy for Sales Canvassers… Stresert Services Limited is recruiting for Sales Canvassers. The ideal candidate must possess basic understanding of sales principles and customer service practices. Stresert Services Limited – Our client is a producer of natural fresh healthy drinks with the aim to help people live longer, stronger and healthier. The role requires the job holder to boost sales and increase profit for the organization by marketing and selling its products to prospective customers and distributors alike. “Go the extra mile” to drive marketing/sales for the organization by making door – to – door sales, cold calls, attend events and programmes that provides selling opportunities etc. Suggest ways to improve sales e.g. planning marketing activities, target areas etc. Identify potential new customers/markets in association with Head of marketing to develop business. Good negotiation and persuasion skills. This role is highly incentive driven. Hence, the base pay per month is N20,000 with very good sales commission on product sold. Interested and qualified candidates should send their CV’s to: [email protected] Using ‘LW-Ally’ as the subject of mail. This is a rewarding opportunity in an environment that supports success. Application Deadline: 10th July, 2018.